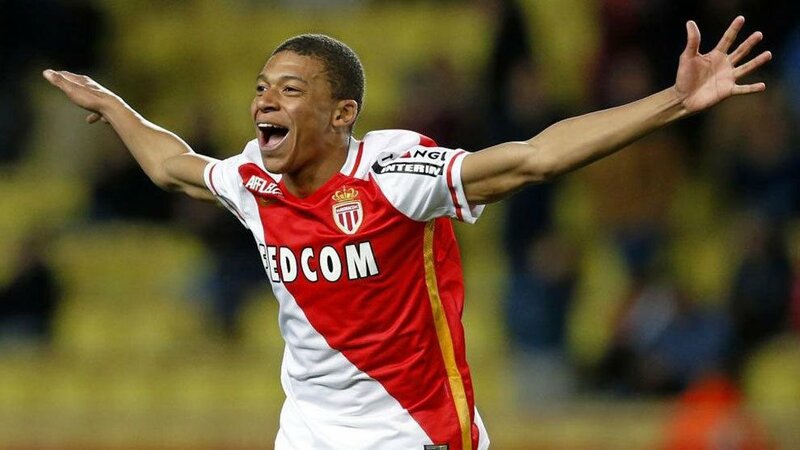 Arsenal set to hijack Real Madrid’s move for Monaco star Kylian Mbappe? Kylian Mbappe is an incredible talent. The 18-year-old is widely regarded as one of Europe’s hottest young prospects and the likes of Bayern Munich, Barcelona and Paris Saint-Germain have been linked with bids for the Monaco star this summer. However, Spanish giants and defending Champions League winners Real Madrid are currently leading the charge for the Frenchman and Zinedine Zidane’s men are reportedly willing to pay a world record fee for the teenager. According to a number of respectable news outlets, Madrid are lining up a £90 million bid for Mbappe – an incredible sum of money for such a young player. If you believe reports, he almost seems destined to move to the Santiago Bernabeu this summer but Arsenal will be quietly confident of spoiling Real’s transfer party. Arsene Wenger, a huge Mbappe fan, could convince the Gunners hierarchy to produce their own lucrative bid and a move to the Premier League could be on the cards. Mbappe went from being a bit of an unknown quantity to a world beater inside the space of one, exhilarating season of football. The Monaco striker played a key role in his side’s Ligue 1 triumph and scored six Champions League goals as the French outfit reached the latter stages of Europe’s elite club competition. After a relatively slow start, the 18-year-old notched 18 goals in his final 22 games of the season; a run that further enhanced his reputation as one of Europe’s brightest young stars. As mentioned in the Sportsbet.io Blog prior to France’s clash with England in Paris earlier this month, Mbappe’s fee might push closer to £100 million. If Arsenal want to lay down a genuine challenge for the Premier League title, they will need to sign somebody of Mbappe’s calibre. Without a doubt, the Monaco youngster is one for the future but he can be one for the present. Madrid are on another level but signing for Arsenal might be the best thing for his development right now. If anyone can nurture Mbappe and keep the youngster grounded, it is Wenger. As well as the French connection, the Arsenal boss has an excellent record at bringing young players through the Gunners system and he could be the right man to take Mbappe to the next level. In terms of potential, he is up there with the Paul Pogbas of world football and he could flourish into a consistent star if taken under Wenger’s wing. The chance to sign for Real Madrid would be very difficult to turn down but Mbappe should consider his long term future. Attempting to hold down a regular spot in the Real starting line-up could prove difficult; especially with Cristiano Ronaldo, Gareth Bale, Isco and Karim Benzema in attacking areas. For now, a move to Arsenal could be the best possible outcome. The Gunners will get one of the best young stars in Europe, Monaco will get a hefty sum of money for the striker and Real will get the opportunity to sign the Frenchman in a couple of years after he has gained experience at a top European club. All in all, it could be a win-win for everyone.